The first chances fell to Kilmarnock, with a McKee header drifting past the far post. Then Maskrey cutting in from the left, but Kelham O'Hanlon, held his drive at the near post. However, Robbie Winters came very close to scoring midway through the first half when he latched on to a through ball, but Lekovic fisted his blistering drive away for a corner. Five minutes later United were caught out by a probing free-kick from Whitworth which curled deep and dangerously into the six yard box and when Gary Bollan tried to chest it clear all he succeeded in doing was deflecting the ball past his own keeper. 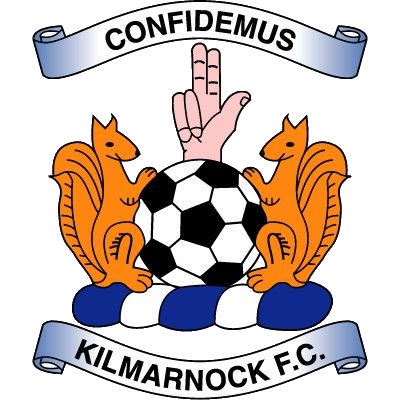 Killie were battling hard and made things difficult for United to create any openings, though Lekovic did make a save from a well struck Billy McKinlay shot look easier than perhaps it was. None-the-less, United really should have gone in level at the interval. The half-time whistle was only seconds away when David Hannah drifted into the middle and almost staring into the whites of the keepers eyes somehow pulled his low shot wide of the target. Fortunately, the under-21 midfielder quickly made amends in the second period. The half was onlv four minutes old when after luckily being awarded a corner, Grant Johnson headed the ball into the middle and Robbie Winters back header dropped to David Hannah who steered an angular drive into the net off the inside of the far post. Five minutes later and the whole game had been turned on its head in a disastrous minute for the vistors. 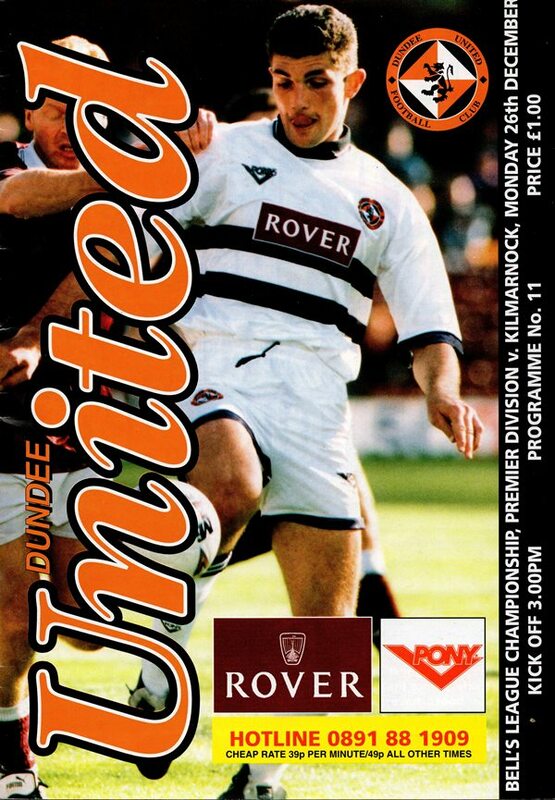 First Whitworth was ordered off for a second bookable offence for a foul on Craig Brewster and when Gary Bollan slung over a cross from the left Robbie Winters capped a fine first start to a match to finish with a spectacular overhead kick. Instead of going for the jugular, United seemed content to amble about, trying to keep possession and duly paid for this with 19 minutes left when Ally Mitchell stooped to head a cross from the left low past Kelham O'Hanlon for the equaliser. Shortly afterwards Jerren Nixon and Paddy Connolly replaced Grant Johnson and only the leg of Lekovte prevented Paddy Connolly from snatching the winner with a couple of minutes to go after he had wriggled his way past two defenders. Firstly, I hope everyone has had an enjoyable Christmas and will be as eager as the players are to get back to competitive action after what has amounted to a three week break after the postponement of our match against Partick Thistle at Firhill. Print deadlines mean that these notes had to be written prior to last week's friendly match with my old club Partizan Belgrade, but that game at least afforded us some match practice in the build-up for this afternoon's important game with Kilmarnock. After two excellent victories over Hearts and Falkirk, we ran into a Rangers side firing on all cylinders and whilst the outcome was obviously extremely disappointing, I hope that our players can learn from the way Rangers played not only when they had the ball, but also from the hard work they put in when we were in possession. Rangers did play very well, but we contributed to our own downfall and our players failed to heed my pre-match warning. I told them when they were up against Laudrup that they had to stay on their feet and watch the ball, because he is the master of selling the dummy. Unfortunately, two of them got caught out when the Dane scored the first goal and we were chasing the game from that point on. Despite the result against Rangers, I didn't intend making too many changes for the match at Firhill which was unfortunately washed out by the weather. But there will have to be at least one further change this afternoon as Brian Welsh is now suspended. 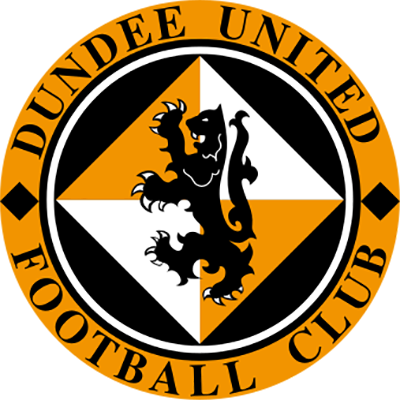 None-the-less, I am confident that the game against Rangers was just a blip in the form which had seen us come through November undefeated and that after the break we can pick up where we left off against Hearts and Falkirk. 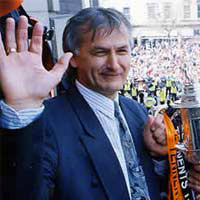 Our visitors, Kilmarnock come to Tannadice after also being victims to the superlative skills of Brian Laudrup in their last outing, but since our victory at Rugby Park in October only Motherwell and Rangers have beaten Alex Totten's "reshaped squad which now includes my fellow countryman, Dragoje Lekovic, in goal. I WOULD LIKE TO EXTEND FESTIVE GREETINGS TO HIM AND ALL HIS TEAMMATES, BUT ASSURE THEM THAT WE ARE CONFIDENT THAT WE CAN REPEAT OUR WIN OVER THEM AT RUGBY PARK EARLIER IN THE SEASON.